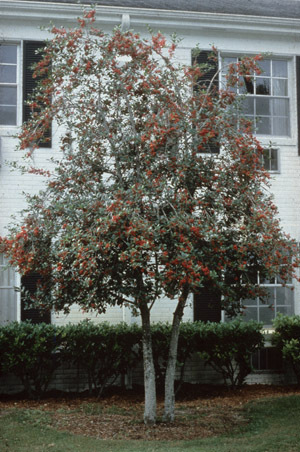 General Landscape Uses: Accent or specimen tree in moist to wet locations. Ecological Restoration Notes: A common element of wetland thickets and swamp margins. Availability: Widely cultivated. 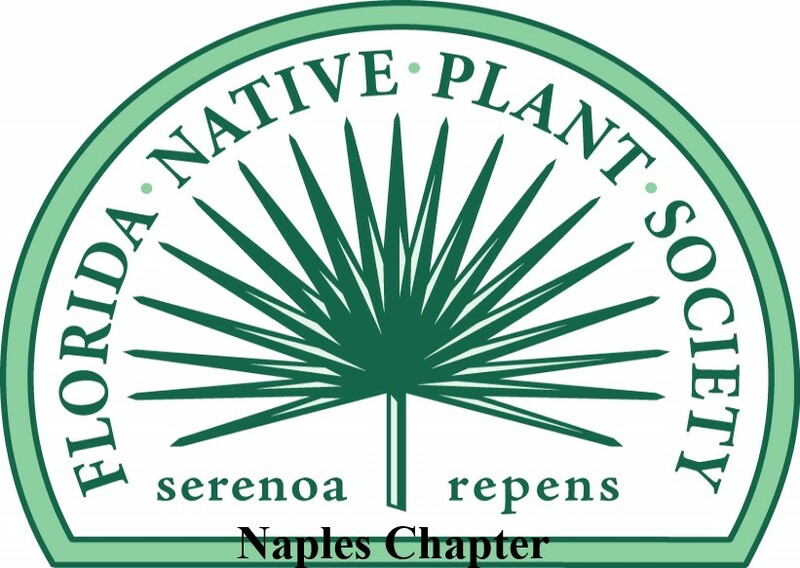 Available in Lake Worth at Indian Trails Native Nursery (561-641-9488) and at Amelia's SmartyPlants (561-540-6296).. 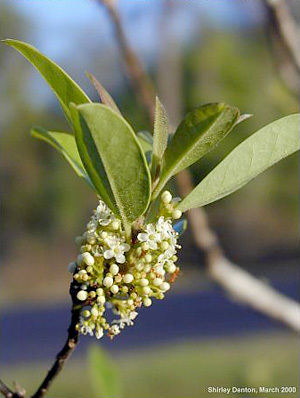 Description: Small to medium or rarely a large tree with variable crowns composed of numerous branches. Trunks often short, branching near the ground, 6-12 inches in diameter. 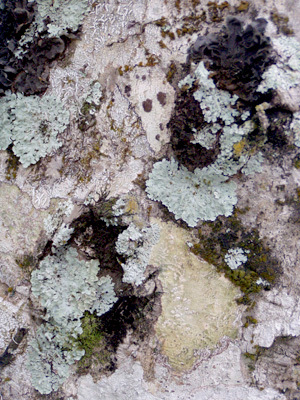 Bark whitish to grayish to almost black, often covered with numerous lichens and other epiphytes. Leaves flat, leathery 2-4 inches long, dark above, paler beneath. 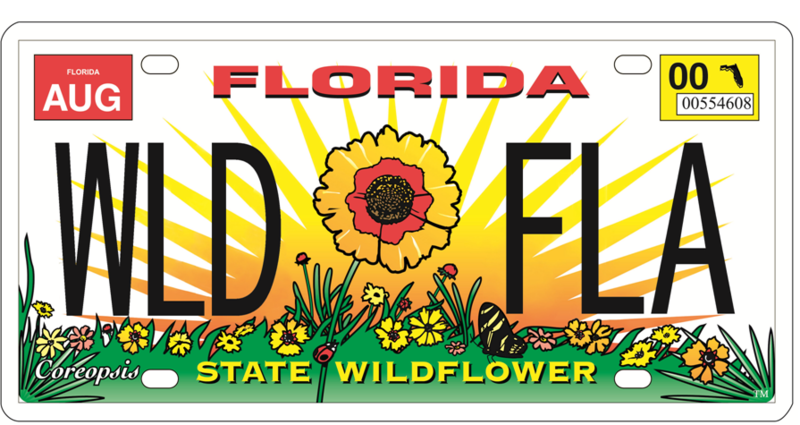 Dimensions: Typically 10-30 feet in height; to 68 feet in South Florida. Usually taller than broad. Range: Southeastern United States west to Texas and south to Miami Dade County and the Monroe County mainland; Bahamas, Cuba, Mexico and Central America. For a digitized image of Elbert Little's Florida range map, visit the Exploring Florida website. 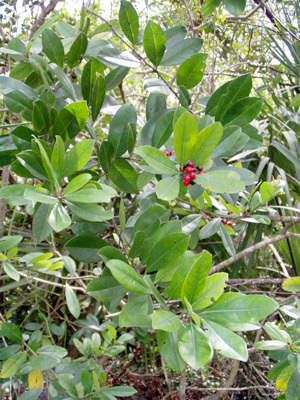 Habitats: Swamps and moist forests. Soils: Wet to moist, moderately well-drained to poorly-drained organic or sandy soils, often with acid pH. Nutritional Requirements: High; requires rich organic soils for optimal growth. Drought Tolerance: Moderate to low; requires moist to wet soils, but tolerant of short periods of drought once established. Fruit: A 1/4" diameter drupe, usually red, sometimes yellow or orange. Mostly ripening in the fall. Edible but not tasty. Wildlife and Ecology: Provides significant food and cover for wildlife. Deer browse the young growth. 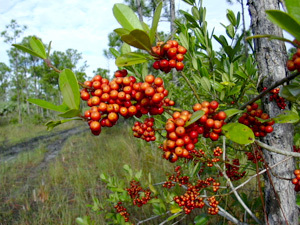 Small mammals, turkey, quail, red-eyed vireos and other songbirds eat the fruits. Horticultural Notes: Can be grown from de-pulped seed after the fruit is fully ripe. Clean and plant right away; the seeds do not store well. Plant in a container with at least 2" of soil. Sprinkle soil to just cover the seeds. Place in partial shade. Also grown from cuttings, best treated with a rooting hormone. Comments: This small tree is excellent for low spots in the garden. The red berries make an excellent holiday decoration.